For this activity, I have to decide what two musicians/bands I would invite to perform at WOMAD (World of music, arts and dance. I would take The Rolling Stones and Queen. They are both English bands and The Rolling Stones have been together for more than 50 years. For this task I have to listen to three of Justin Biebers songs (Baby, Love yourself and Sorry) and I have to rate them from 1 being the best and 3 being the worst. I didn't like the song Baby, I thought love yourself was alright but sorry was probably the best. For this task I have to find a youtube clip of a popular television show from New Zealand. Here is a link to a trailer of a movie called Sponge Bob Square Pants Sponge Out Of The Water (https://www.youtube.com/watch?v=w3I4C7i3pi8&t=19s). It is a very popular movie that was made after the television series. For this activity, I have to write about my favorite television show. My favorite is probably The Flash because it is about a ordinary guy who gets powers after a accident. The persons name is Barry Allen and he helps out people with his super powers. In almost every episode he fights a new evil villain and manages to defeat the evil person. For this activity I had to watch a short video that was on TV in the country I am visiting. Unfortunately, the video didn't work so I watched the video from Chile (Because it was the next one down on the list). The name of the television show is 31 minutes 1st season. I liked how there were some funny looking characters and I didn't like the quality of the video. I was very fuzzy and I couldn't see much detail. I rated it a 3 out of 5 (***/*****). For this activity I have to think about which of these sports is the best one: Soccer, Rugby Union, Rugby League, Netball and Cricket. 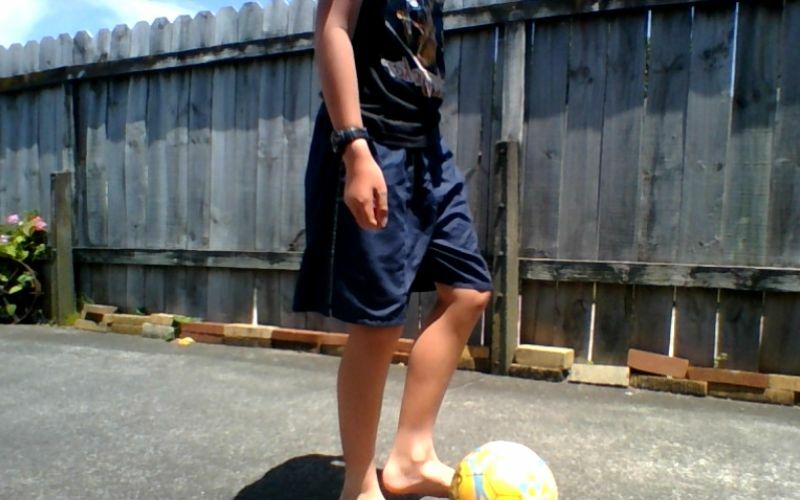 I think that soccer is the best sport because you need to have lots of skill to play it. Just like rugby, they have tournaments like the FIFA world cup which is always fun to watch. I always enjoy playing soccer with my friends at school. For this activity I have to write a short paragraph describing my sporting hero. My sporting hero is Lionel Messi. I like him because he is a great soccer player and if his team loses, he doesn't moan or complain. For this summer learning journey activity, I have to take a picture of myself playing a popular New Zealand sport. 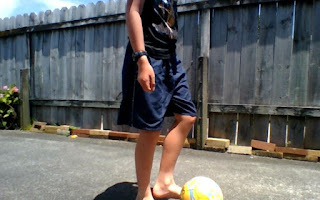 In this picture, I am playing soccer (Since i'm a really bad photographer, I cut off my head by accident). For this summer learning journey activity I have to write what I do in a school day. Here is a timetable for one day at school (Sometimes we do different things each day though). For this task I have to think about my favorite subject at school. I think my favorite subject at school is reading because I like to read books. I like that subject because reading can help you when you are older (Maybe if you apply for a job you might need to read somethings). 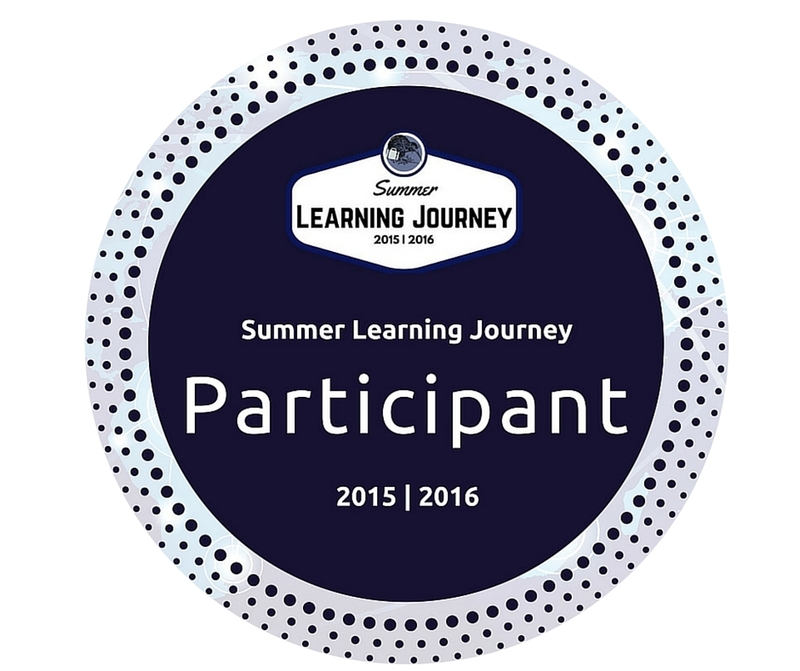 For this summer learning journey activity, I have to compare one of my school days to a German student one. Some things are similar, like maths for example. We normally have maths in the morning. I would rather go to school in New Zealand though because in Germany they have to learn English, French and German. Learning three languages is probably hard. For this activity, I have to interview one of my family members and ask them some things. I interview my mum. 5. If you could travel anywhere in the world, where would you go? Why? - I want to go to Hawaii because I heard that Hawaii has beautiful beaches and they have a great culture. For this activity I have to imagine what it would be like living with 18 other siblings. I would like that we could all participate in a big family game, but I wouldn't like it when it was time for something like pizza. Everyone would probably only get one or two slices each. For this summer learning journey activity, I have to write about my family. There are five of us (My mum, dad and my two brothers). My Mum's name is Emmy and my Dad's name is Nick. Thomas and Alex are my two brothers. For this task, I had to ask one of my family or friends what their five favorite things to do in the summer time. I asked my brother Thomas. For this summer learning journey task, I have to either take a picture of myself doing one of my favorite summer time activities or I can write a paragraph that has the things I like doing on in it. My most favorite thing would be to go to the pools because it would cool me down on a hot day. My second favorite thing is to lie on my bed and read. For this task, I have to say whether or not I think breakfast is the most important meal of the deal. Numerous researchers believe breakfast is the most important meal of the day but many people disagree. I think breakfast is the most important meal of the day because I can't focus at school if my stomach is growling. For this summer learning journey task, I have to take a picture of myself eating some famous foods that come out of New Zealand (Kiwifruit, lamb, hokey pokey ice cream, pavlova, bacon and egg pie and more). 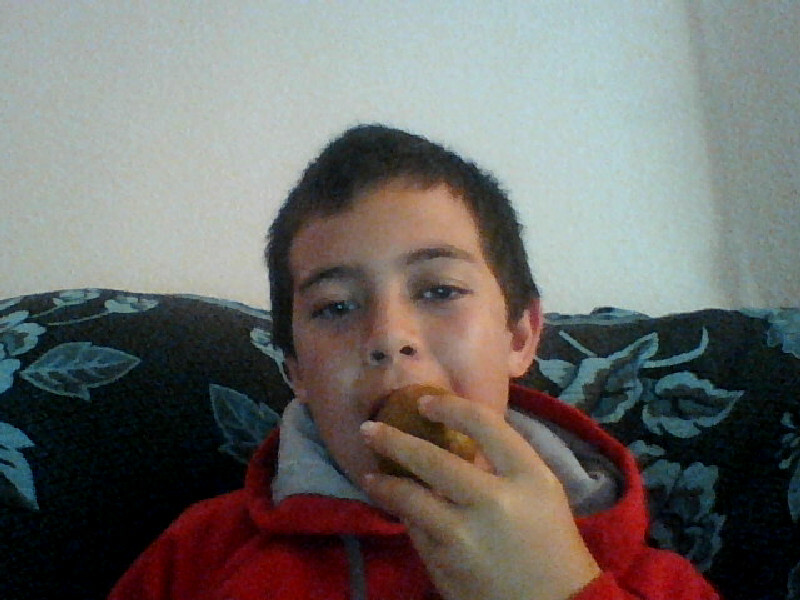 I took a picture of myself eating some kiwifruit. 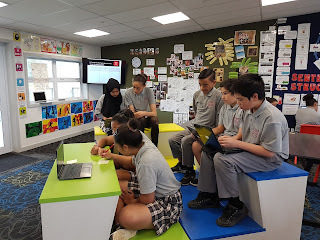 For this summer learning journey task, I have to compare what is eaten commonly in the country I have chosen to visit and what I eat here in New Zealand. I usually have weet-bix for breakfast and in Canada, a breakfast that is common is pancakes with maple syrup. I would prefer to have maple syrup and pancakes for breakfast because it sounds (And looks) much more appealing than weet-bix. For this summer learning journey activity, I have to translate five phrases into Spanish, German, Malaysian, Japanese, Arabic or Afrikaans. I chose to translate it from English to Spanish. I used google translate to translate these phrases. How much does this cost? - ¿Cuánto cuesta este? When is the next bus? - ¿Cuándo pasa el próximo autobús? Where is the nearest hospital? - ¿Dónde está el hospital más cercano? For this activity I had to take a selfie showing how I felt if I was in a foreign place with people who did speak my language. 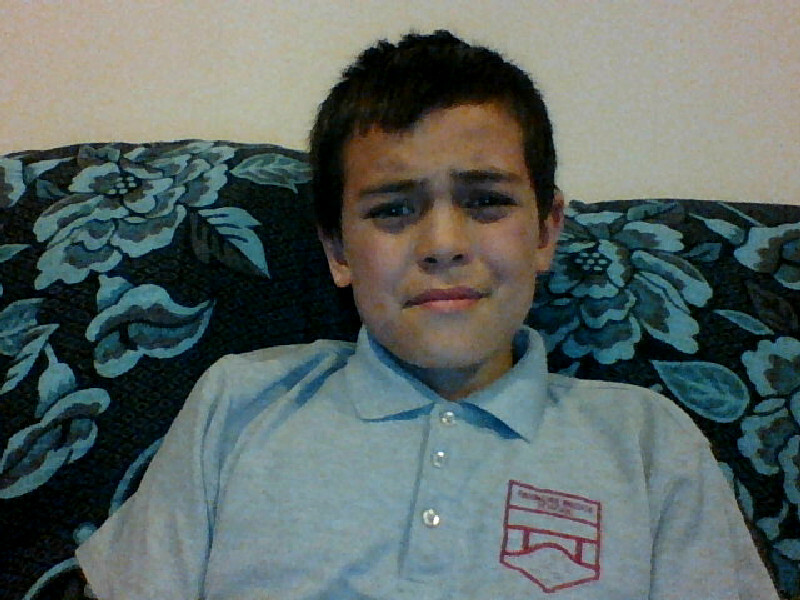 I would feel scared so I took a picture of me trying to act scared. I chose to use the first story starter. I looked around the room. Nothing seemed unusual, but then I heard a loud boom that echoed across the hallway. I was in the corridor at school and out the window I could see the science building on fire and students were fleeing from the building. I ran towards the unfortunate building and gazed at the flames in wonder. They were turning different colors, from red to orange to yellow to blue and so on. "What happened?" I asked one of the retreating students. "Someones experiment went wrong" He replied. After the flames got put out, the science lab was closed for the rest of the week. When we were allowed to enter the lab, the building looked like it had been freshly painted. The chemicals from the explosion cause the walls and floor to turn different colors! For this task, I have to chose one of three books that are very popular in Canada right now for Curious Kiwi to read. The three books are: The hunger games 2 (Catching fire), Matilda and Diary of a wimpy kid: The ugly truth. I would chose Diary of a wimpy kid because it is a very funny book (All the diary of a wimpy kid books are funny) and it makes me laugh every time I read it. For this task, I have to recommend a book to curious kiwi (The summer learning journeys mascot). 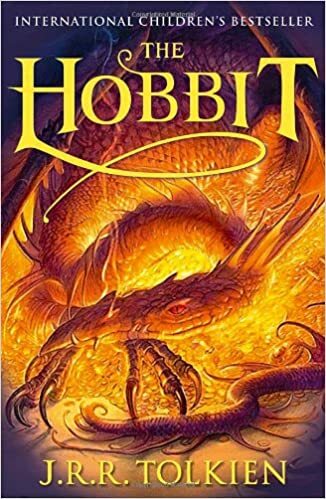 I would recommend him to read a book called the Hobbit. It is a book about a person who goes on a quest with his friends. I think curious kiwi would love to read this book and would enjoy it a lot. For this summer learning journey activity, I created a word cloud on the things I am going to take with me on the plane. I was supposed to use this site called wordle but it is not working so I used Tagul. For this activity, I have to make a list of all of the things I will need to bring with me when I go to my chosen country. I put a star (*) next to the five items that I think are most important. I think a jumper and a warm hat would be useful because Canada sounds like a very cold country and I might need them. I also might need a phone to call my parents if something happens. For this holiday reading challenge activity, I had to use a currency exchanger to find out how much a return ticket to these countries (Below) costs. For example, it costs 826 Australian dollars for a return ticket from New Zealand to Australia, so I converted the Australian dollars to NZ dollars to see how much NZ dollars it cost. The least expensive country to visit is Australia and the most expensive country to visit is Mexico. I think that Australia is the cheapest because it is so close, and Mexico is the most expensive because it is so far away. 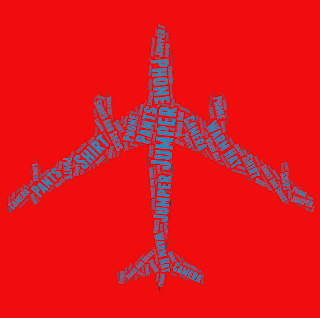 I named my airline Auckland Airlines because I live in Auckland so it wouldn’t make sense if I created a airlines that was called something like England airlines or American airlines. For this summer learning journey activity I have to watch two videos on how to stay safe on a aeroplane and then I have to list three things that you have to do to stay safe on a aeroplane. 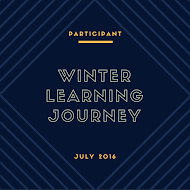 For this summer learning journey activity I have to write about two things I did if I visited Wellington. Because I haven’t been to Wellington I have to write about two things I would like to do if I visited the city. The two things I would like to do are: Visit the Te Papa museum and ride on one of their famous cable cars that I have heard about. For this summer learning journey activity I have to say whether bullfighting in Spain should be banned. Bullfighting is when people (Called toreros and matadors) fight a live bull. The toreros do most of the work and have to tie the bull up. The matadors then kill the bull. 30% of Spain’s population think that bullfighting should be banned and I agree with them. My first reason is that bullfighting is very dangerous and someone could be killed or badly hurt. My second reason is that a lot of bulls might die because the matador kills the bull. For this activity, I have to learn a little bit about the capital city of the country that I have chosen. For this summer learning journey activity I have to write a letter to a friend or family member to tell them that I am going to visit a country of my choice. In my letter, I have to tell them where I am going, why I have decided to go to that particular country and how long I will be away. I can also invite them, if I like. I am going to a country called Canada in two weeks time. I decided to go there because it seems like a very interesting country. I will be away for 5 days and I am wondering if you could come with me. It would be a cool and interesting experience to visit a country you have never seen before. For this summer learning journey activity, I have to find out three facts about the country I chose to learn about (I chose Canada). For this summer reading challenge activity, I have to chose a country that I would like to visit and give at least two reasons for choosing that country. I chose Canada because I don’t know much about Canada and I would like to learn more. My second reason for choosing this country is that I noticed (While researching) that one of their official languages is French, I wanted to find out why one of their two official languages is French. Here is a collage that I created showing things that I have done this year. 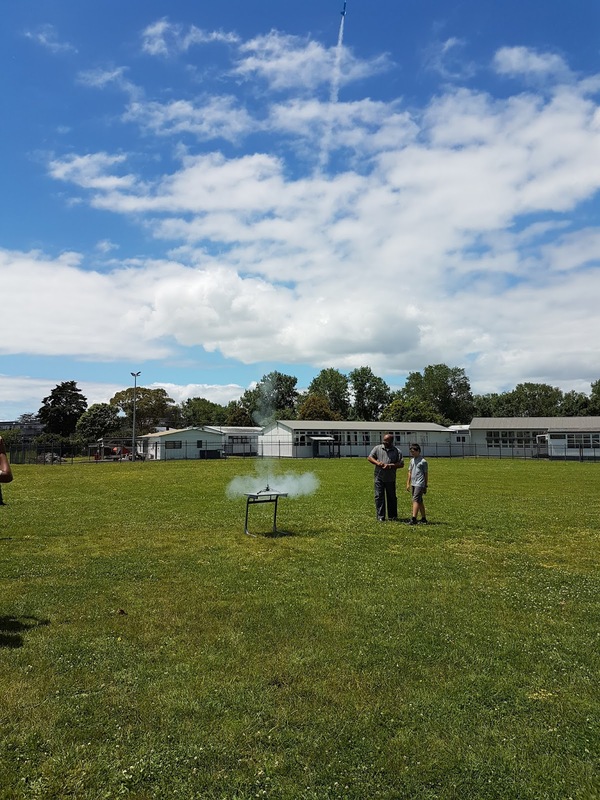 The photos show different events like: Cross country, work in the classroom, the trip to Tahuna Torea and much more. I used the shapes tool to change the look of some of the photos. LS2 did a film study on a movie called Labyrinth. It was about a girl who's baby brother gets taken by the bad guy and his goblin minions. The girl goes through a Labyrinth to find her brother. At the end, she manages to rescue her brother and get back home. Today, after tech, LS2 went with Mr Dunn to finish making our rockets. After we managed to finish them, we fly them. Some went up so high they disappeared and some failed and didn't move. I worked with AJ and Harry to create a rocket. We named our rocket U.F.A (Short for Unidentified Flying Aircraft). Ours went very high but not as high as some peoples rockets. A very big thanks to Mr Dunn and Mrs Ferguson for their help. Everyone had a lot of fun and it was thanks to them that it happened. 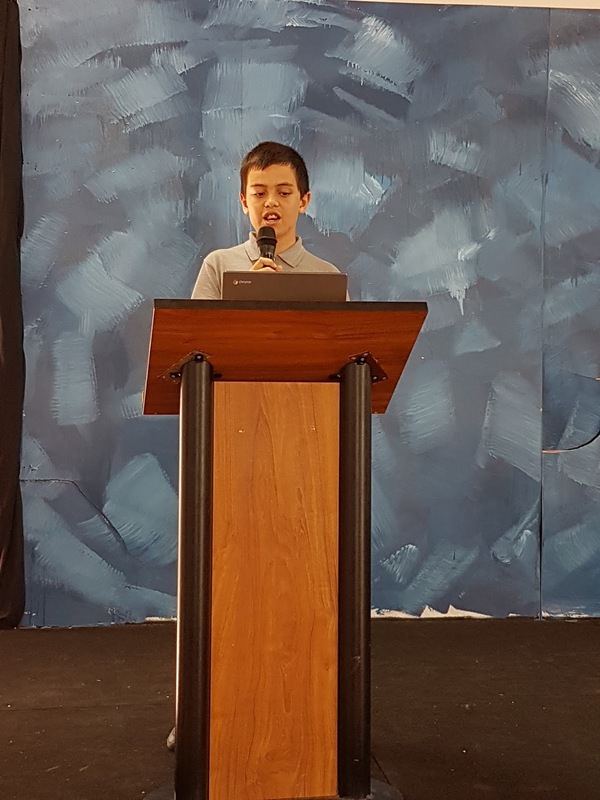 This afternoon, the year seven's who were nominated for the student leader positions said a speech in front of the rest of the class. I was nominated for being the Manaiakalani leader. At first, I was nervous but I got more confident as I spoke. After the speeches, the year seven's and this years student leaders came back to class to vote. I hope I manage to become the 2017 Manaiakalani leader! This is a guide on how to create a straw rocket. I worked with Lyndon, AJ and Harry to create this. We learnt how to make this when we went to tamaki collage to learn with Mr Dunn. Today for reading, LS2 learnt a bit more about the bar-tailed godwits (Also known as the kauka). We did some reciprocal reading on a text about them. For the reciprocal reading, one person starts off as the leader and asks the other people in his/her group if they have any predictions. After that the whole group reads part of the text silently, then the leader asks if there are any words the other people are unsure of. Next, the leader asks the people in the group if they have any questions and finally the leader asks the group to summarize the text they have just read. On Friday, after tech, the year seven and eight's went with Mr Dunn to make some rockets. Before we made rockets that would be launched into the air, we made straw ones. Here is a collage showing some people flying or making their straw rockets. At Tech we were working on two types of rockets. A straw rocket and a Paper rocket. I was working with Harry, Lyndon and AJ. The first rocket we had to do was the straw rocket. We cut out pieces of paper then attached them to our straws with sellotape. We did the same with the top of the straw where we bent it and sellotaped it. We then put the small straw in the a big straw. We also used the big straw to blow the rocket out and watched it fly.